1) Habitat Loss which many animals are facing. These habitats are destroyed in order to facilitate urban development. Habitats are disappeared when large numbers of trees are brought down or when bushland is cleared. 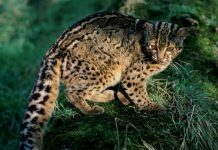 2) Habitat change; changes in animal’s habitat can take place after a natural calamity such as drought, flood, storm, and bushfire. 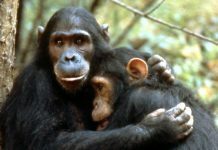 The common chimpanzee (Pan troglodytes), also called robust chimpanzee is a species of great ape. 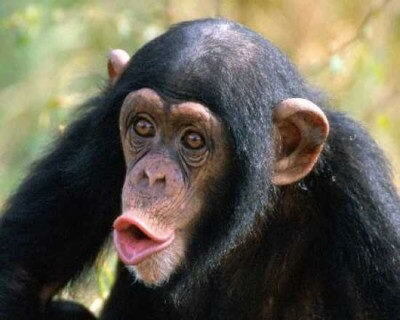 The common chimpanzee is also known as chimpanzee. 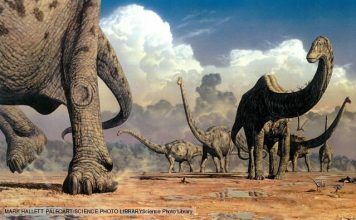 These animals weigh around 40 – 65 kg (88 – 140 lb), with the length measuring at 1.6 – 1.3 meters (5 ft 3 in to 4 ft 3 in) including tail. The gestation period lasts for eight months. Common chimps have a lifespan of 50 years in captivity. They are usually found in groups comprising 15 to 150 members but animals hunt and travel in much smaller groups. Common chimpanzee is listed as critically endangered species by the International Union for Conservation of Nature. 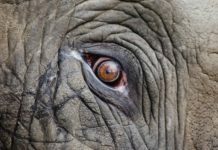 The largest threats these animals are facing include poaching, habitat loss, and disease. 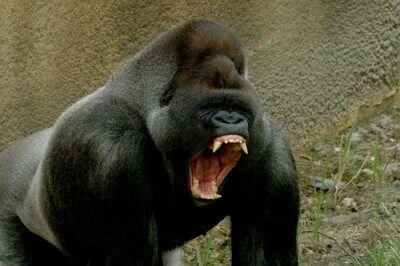 Western gorilla (Gorilla gorilla) is a great ape belongs to the genus Gorilla. These gorillas are listed as critically endangered as there are only 250 to 300 species remaining in the wild. In comparison to its eastern counterpart, western gorilla is fairly shorter and less in weight. These gorillas display greyish-brownish forehead. The length of the male measures around 160 – 170 cm (63 – 67 inches), with the weight measuring at 140 kg (310 lb). The females measure around 120 – 140 cm (47 – 55 inches) in length, with the weight up to 60 – 80 kg (130 – 180 lb).The largest western gorilla weighs around 200 kg (440 lb). The black rhinoceros (Diceros bicornis) is a subspecies of rhinoceros endemic to the eastern and central Africa such as South Africa, Zimbabwe, Tanzania, Cameroon, and Angola. 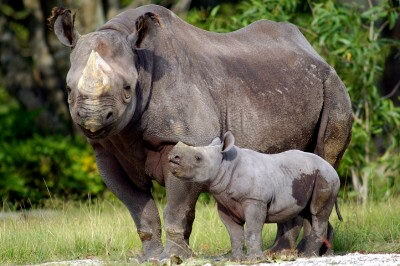 Black rhinos are listed as critically endangered species by IUCN. The shoulder height of black rhino measures around 132 – 180 cm (52 – 71 inches), with the length measuring at 2.8 – 3.8 meters (9.2 – 12 feet), with a tail measuring at 60 cm (24 inches). 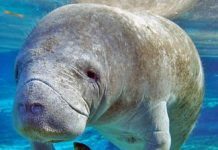 The weight of the male measures around 800 – 1,400 kg (1,800 – 3,100 lb). The males are considerably larger than females. 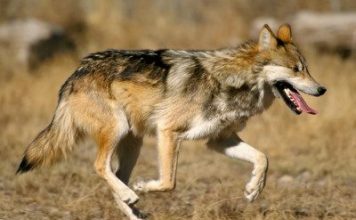 The red wolf (Canis lupus rufus), is a North American canid once inhabited all along the Southeastern United States. The shoulder height of red wolf measures up to 66 – 79 cm (26 – 31 inches), with the length measuring at 111 – 165 cm (44 – 65 inches) including tail measuring at 30 – 43 cm (12 – 17 inches). 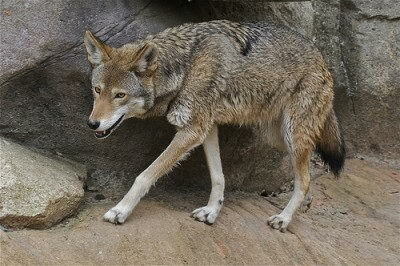 The red wolf weighs up to 16 – 41 kg (35 – 90 lb), with the mean weight measuring at 24.5 kg (54 lb). The females are 10% smaller in comparison to the males. These wolves become mature in the second year. The Hawaiian monk seal belongs to the family of Phocidae. 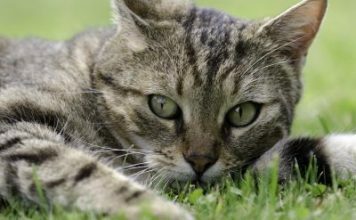 These animals are listed as critically endangered species and are native to the Hawaiian Islands. They are solitary species. Around 1,100 seals are threatened by human encroachment, fishing nets, marine debris, commercial hunting, genetic variation, and disease. 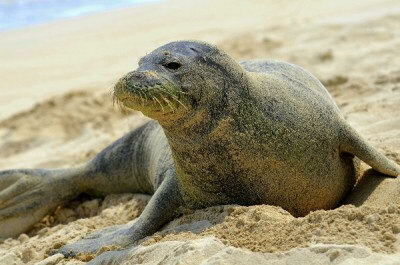 The Hawaiian monk seals prey on squid, deep water coral beds, octopus, fish, and lobster. They are known to reside in the Northwest Hawaiian Islands. The weight of an adult male measures around 300 – 400 pounds (140 – 180 kg), with the length measuring at 7 feet (2.1 feet). The giant panda (Ailuropoda melanoleuca), also called giant panda is endemic to the south western and central-western China. These types of bears are easily distinguishable by the black and white color. Giant panda primarily feeds on bamboo which is its favorite diet. More than 99% of giant panda’s diet is composed of bamboo. They are also known to feed wild tubers, rodents, carrion, and grasses. They can be fed with honey, eggs, shrub leaves, bananas, yams, and oranges. 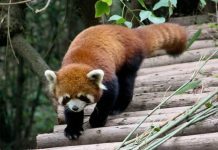 The panda inhabits in the central China and are believed to remain 239 species in captivity. 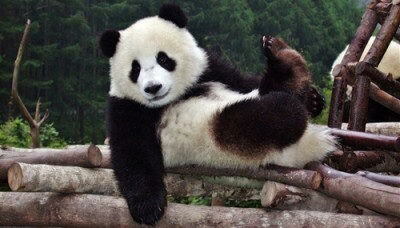 The giant panda is listed as critically endangered species by the IUCN. Read More: Why are polar bears going extinct? The Bengal tiger (Panthera tigris tigris) is species of tiger with an estimated population of no more than 1,520 – 1,909 individuals remaining in India. 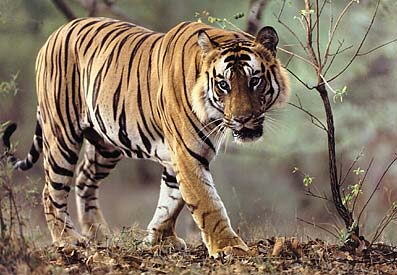 Bengal tiger is also the national animal of Bangladesh. 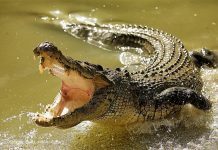 They can grow to a size of 270 – 310 cm (110 – 120 inches) including tail, with female measuring around 240 – 265 cm (94 – 104 inches) in length. The length of the tail measuring at85 – 110 cm (33 – 43 inches), and the shoulder height of 90 – 110 cm (35 – 43 inches).